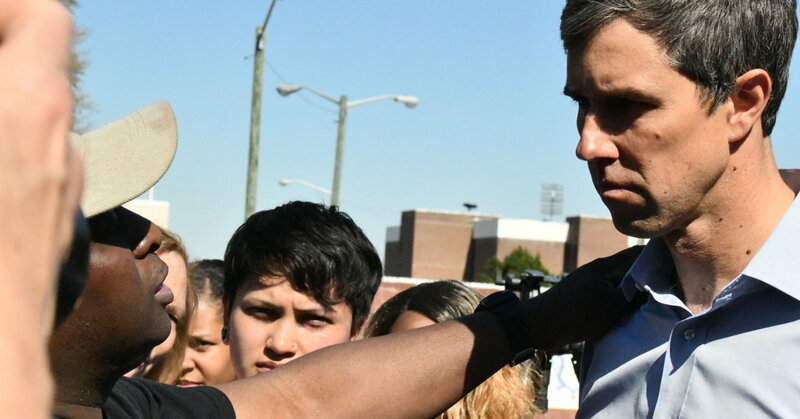 Beto O’Rourke meets Willie McLeod, one of the Friendship Nine, in Rock Hill, South Carolina. 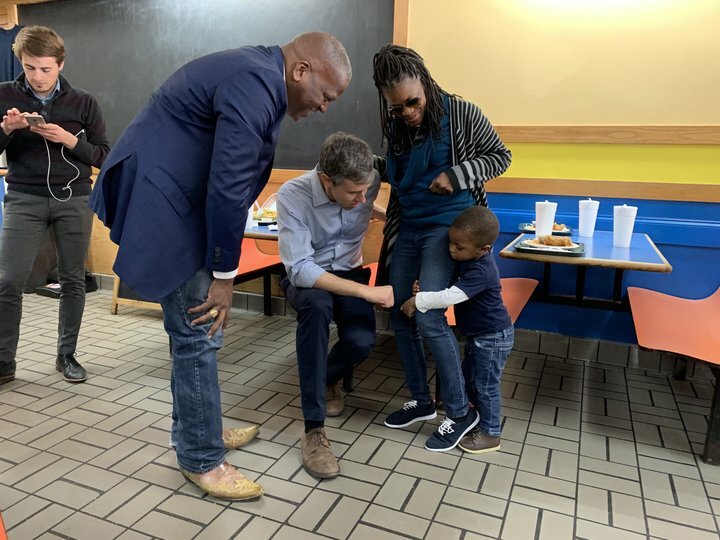 O’Rourke greets a toddler at Drake’s Duck-In, where he met with Columbia Mayor Steve Benjamin. Climate activists have been pushing 2020 Democratic presidential candidates to promise not to accept any money from the oil, gas or coal industries. So far, only Sanders, Sen. Elizabeth Warren (Mass. 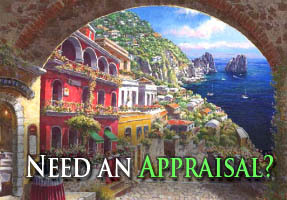 ), Rep. Tulsi Gabbard (Hawaii) and Washington Gov. Jay Inslee have done so. 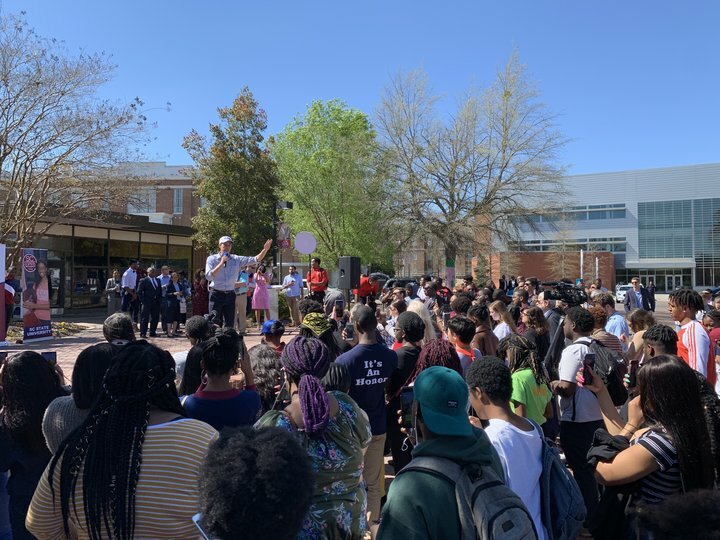 O’Rourke holds a town hall at South Carolina State University in Orangeburg. 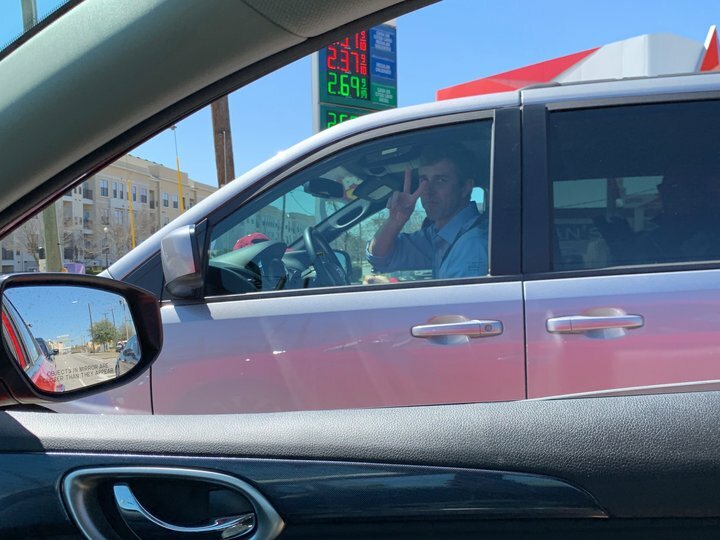 O’Rourke at the wheel in his gray Dodge Caravan.